Atttack on Titan Movie (FanMade). A fanmade attack on titan movie poster.. HD Wallpaper and background images in the Attack on Titan club tagged: attack on titan - movie fan made. 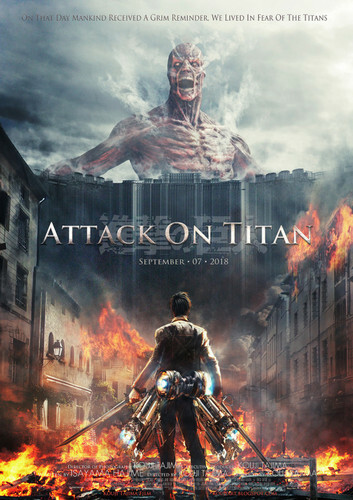 A fanmade attack on titan movie poster. This Attack on Titan photo might contain moto and inferno.